From the Hebrew Pelistim, meaning "immigrants." Although Josephus asserts that the Hyksos were “Jews,” no word for “Jew” in any language appears in the historical record until a thousand years after the initial Hyksos expulsion and several centuries after the second one. These “Syrians,” again, are not specified as “Jews,” and we possess no indication that Herodotus had ever heard of such a tribe, much less the kingdom of Judea. As a people and nation, we find no significant presence of an Israel until a century or more into the Iron Age (1300–600 BCE). The term “Israel” can be found in pre-Hebraic Canaanite texts as a person’s name. In the fifth century BCE, the “Jews" (Yehudim) as such indeed were a fairly new development as the dominant tribe of the region, and it is surmised that monotheistic Judaism or Yahwism as such was not created until the Seleucid period (323–64 BCE), which might explain why the Elephantine Jews were not instructed in strict monotheism in their communiques from the Jerusalem priesthood. It is also possible that, during this era, some Semites ended up in the Indus Valley along with any Sumerians, and that sometime later a tribe of them moved back into the Mesopotamian region to become “Abrahamites.” These then may have moved into the Levant and mingled with other Semites there, acquiring attributes of other deities and having their tribal god Brahma demoted to a patriarch. ...there exists no evidence of the descendants of some two or three million people occupying Canaan for the past decades or centuries, according to the Conquest myth. Scholars know that Judaism would have continued being as debauched until late times if the intelligentsia had not of necessity followed the model begun by the Persians and Syrians, etc, of sanitizing their traditions of the more grotesque practices and habits. The Jews also made sure to borrow many a sacred tradition from other neighboring Semitic and non-Semitic tribes. In all this correspondence dealing with these Levantine peoples who would have been surrounding the Israelites, there is no mention of the Hebrews in Egypt or elsewhere whatsoever, as if they did not exist or were of so little consequence as to be unrecognized. the slaughter of innocent children or infants is yet another motif found in a number of mythologies, whereby the reigning monarch tries to prevent from being fulfilled a prophecy that a new king will be born who will depose him. As Walker says, “Innocents were slaughtered in the myths of Sargon, Nimrod, Moses, Jason, Krishna and Mordred as well as in that of Jesus.” 545 Children are slain or menaced also in the stories of Oedipus, Perseus, Romulus and Remus, and Zeus, some of whose myths include being shut in chests and tossed into a body of water. Exodus 19:22 and 24 anachronistically speak of “priests” before any such individuals ever had been ordained. Jewish scholars such as Israeli archaeologist Dr. Ze’ev Herzog contend that “there is no evidence in the archaeological record that Israel was a powerful force, whether at the time of the (Mernenptah) stele’s creation or at any other time during that general period.” In other words, there exists no evidence of the descendants of some two or three million people occupying Canaan for the past decades or centuries, according to the Conquest myth. 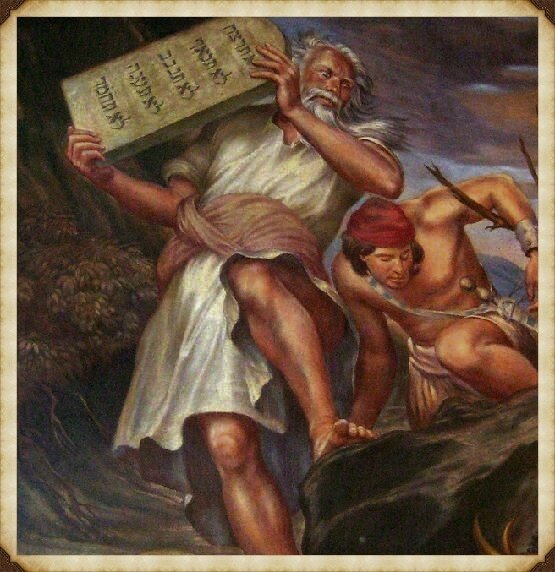 While it is claimed Moses discovered or developed monotheism, from the numerous biblical references to the Jews worshiping other gods it appears that it was under Hezekiah and then Josiah that fanatical, intolerant monotheism began to be imposed upon the masses, starting around 690 BCE. It should be kept in mind that, even after the fifth century, Jews in general continued to revere deities other than Yahweh, including syncretizing him with the gods Zeus, Dionysus and others. it is surmised that the Jews were not monotheistic until the time of the Maccabees (2nd cent. BCE). The Egyptians had been dealing with these “vile Asiatics” for over a thousand years before the Exodus purportedly happened. After Jews began to appear in the historical record, there followed a series of commentaries depicting them as descendants of brigands and lepers, shunning and opposing the rest of humanity. Tacitus also mentions the “leprosy” from pigs that purportedly afflicted Moses’s followers, which may refer to trichinosis, a parasitic disease developed from eating raw or under-cooked pig products. This alleged disease state may explain why the affected Israelites became so xenophobic and antagonistic towards swine. ...in all this mass, we find not a single recognition of any certain Israelite presence but, instead, reference to nomadic Semitic “robbers” called ‘Apiru or Hapiru/ Habiru. In the Amarna correspondence of the 14th century, the Hapiru had become such a nuisance to the Egyptians in the Levant that the authorities there had complained these wandering nomads would eventually take over the entire region. It would seem that indeed they did, as part of the Israelite confederation, following their god El, who thus prevails. Manetho’s Hyksos were the Israelites of the Exodus, although the Egyptian writer never uses the terms “Hebrews,” “Israelites” or “Jews” to describe these Asiatics. The descriptions of the Hapiru and Shasu are similar to those of the Hyksos and Israelites, such as the supposedly historical material in the Bible that includes the rampaging through Canaan, slaughtering, pillaging and taking virgin girls as slaves. Note: Despite these passages above, D. M. Murdoch oddly does not believe that the Israelites are identical with the Hyksos. Her reasons for this assumption are not sound. She has not cited the work of Ralph Ellis, and her references from scholar Jan Assman, regarding the Hyksos, are incorrect and misleading. Elsewhere in the book she concedes that the Hyksos were "pre-Israelites," perhaps proto-Israelites. She overwrites her previous denials when she later writes: "Among the Hyksos may have been ancestors of various peoples who came together to create the nation of Israel centuries later." Later she apparently concedes the truth, saying "These Shasu (Apiru, Israelites or Jews) may have comprised proto-Israelite Amorites who had lived in Egypt, some of whom were also descendants of the Hyksos expelled from the delta and subsequently settling in the Judean hill country." It is a pity Murdoch did not take this line of thought to its logical conclusion, as have Ralph Ellis and others. Although the words “Hebrew” and “Hapiru” may not be related etymologically, it seems that the tribes of Israel were drawn largely from the Semitic bedu, specifically the Shasu and Hapiru, along with others among the Amorites and Canaanites. The descriptions of the Hapiru and Shasu are similar to those of the Hyksos and Israelites, such as the supposedly historical material in the Bible that includes the rampage through Canaan, slaughtering, pillaging and taking virgin girls as slaves. It should be kept in mind that the Semitic Hyksos and Canaanites were influenced by Egypt in religious matters, and vice versa...The texts demonstrate that the writers of the Pentateuch, for one, were well aware of these legends, traditions and practices. It is noteworthy that Joseph’s wife’s name, Asenath (Gen 41:45), means “holy to Anath,” the popular Semitic goddess also transliterated as Anat, worshiped by the Canaanites or Western Semites, including the Hyksos. Despite the tale that they rampaged against the Egyptians, slaughtering and pillaging, destroying temples and believers, the Hyksos adopted many of the Egyptian manners, as noted, including their religious ideas, although they preferred their “Asiatic” rendition of Baal-Seth, called by them “Apophis,” also the name of one of their kings. The Hyksos or Amorites/ Jebusites of Jerusalem were pre-Israelite Western Semites or Canaanites who worshiped Semitic, Sumero-Babylonian and Egyptian deities. The Hyksos were known to revere the “Mistress of the Two Trees,” a type of Hathor, the Egyptianized goddess of Byblos, indicating their origin near Phoenicia. Moses’s flowering rod, river of blood, and tablets of the law were all symbols of the ancient Goddess. His miracle of drawing water from a rock was first performed by Mother Rhea after she gave birth to Zeus, and by Atalanta with the help of Artemis. That Moses and the Israelites did not know their own God is most suggestive. Oddly enough, some of the earliest forms of the name of the Jewish God seem to have been masculinized versions of the name of Jahi. Variations include Jahu, Jah, Yahu, Iau, Jaho. Some myths indicate that this God like Ahriman once had a serpent form and may have played the part of the Great Mother’s serpent. The emergence of Yahweh as perhaps a masculinization of the old Persian serpent and fertility goddess Jahi is significant, as is his possible early role as the serpent of the Goddess. As early as the middle of the 20th century BCE, the Amorites had become a powerful kingdom, previously having lived a “rustic, nomadic life on the Syrian steppes,” before being influenced by the Akkadian culture. Says Redford, “In Palestine and Syria too by the mid-nineteenth century Amorite communities were in the ascendancy.” It was Amorites who founded the city of Babylon, and the legendary figure of Gilgamesh was one of their heroes. One of their main cities was Mari, named for a Semitic goddess, which flourished as first a Sumerian and then an Amorite town between 2900 and 1759 BCE, when it was conquered by Hammurabi. Amorite dominance in Mesopotamia was ended in the early 16th century by attacks from the Assyrians and Hittites, who introduced the Kassites into the region. After dominating since about 2000 BCE, around 1595 the Amorites were expelled from Babylon and forced back to Syria/ Canaan. The tall Amorites have been equated also with the Amalekites, said to be “giants” (Exod 17: 8). The Bible claims that both the Jebusites and Amorites (Jos 10:5) occupied Jerusalem before its conquest. The word nissi means "sanctuary" or "exalted place," in regards mountains. In this case it refers to Mount Nissa (thought to be idential with Sinai or Horeb). It also means "banner" or "standard," something raised high. In this instance it pertains to the Brazen Serpent raised by Moses as the standard of the Israelites as they wandered in the wilderness. This standard was later destroyed by Hezekiah, king of the Israelites, probably because the serpent is, and always has been, an indelible symbol of the Mother Goddess and her cults. In my program The Female Illuminati, I show how important this event was and what the serpentine Brazen Standard means. ...raising up the serpent of brass on the pole, with its “hiss.” The Hebrew word is rendered “hiss” is sharaq, denoting “to hiss, whistle, pipe,” a possible indication of Yahweh’s serpentine nature at this point, sensible also in consideration of the god’s apparent role as the goddess Jahi’s serpent, previously discussed. Jehovah-Nissi is in fact Diony-isi (see below). In Assyrian nisi means "men" or "people." In this case it denotes "Jehovah of the People." "The LORD came from Sinai, and dawned from Se′ir upon us; he shone forth from Mount Paran, he came from the ten thousands of holy ones, with flaming fire at his right hand." The solar imagery here is noteworthy, describing Yahweh in terms of a fiery-handed sun god, shining forth from the mountain, here styled “Paran” which means “place of caverns,” an appropriate moniker for the location in the east where the sun god emerges from the nightly cave. It is also noteworthy that the name “Seir” has been identified with Helios and Sirius. In Gaelic it means "west." The tradition of qadeshim as male temple prostitutes may extend well back into pre-Israelite times. "King Antiochus besieged Jerusalem, but the Jews stood it out for some time: but when all their provision was spent, they were forced to send ambassadors to him, to treat upon terms. Many of his friends persuaded him to storm the city, and to root out the whole nation of the Jews; For they only of all people hated to converse with any of other nations and treated them all as enemies; and they suggested to him that their ancestors were driven out of Egypt, as impious and hateful to the gods: for their bodies being overspread, and infected with the itch and leprosy, (by way of expiation) they got them together, and as profane and wicked wretches, expelled them out of their coasts: and that those who were thus expelled seated themselves about Jerusalem, and being after embodied into one nation (called the nation of the Jews) their hatred of all other men descended with their blood to posterity. And therefore they made strange laws, and quite different from other people: never will eat nor drink with any of other nations, or wish them any prosperity..."
"...Antiochus therefore abhorring this, their contrariety to all other people, used his utmost endeavour to abrogate their laws...When Antiochus’s friends had debated and considered of these things, they were very earnest with him to root out the whole nation, or at least that he would abrogate their laws, and compel them to change their former manner of living and conversation. But the king being of a generous spirit, and mild disposition received hostages and pardoned the Jews; but demolished the walls of Jerusalem and took the tribute that was due." Antiochus’s alleged harsh measures represent an extreme reaction to the Yahwists’ absolute separation from and derogation of the non-Jewish populace expressed in the Old Testament and in contemporary life. This xenophobic supremacism extended to Antiochus’s time and was obviously noticeable and greatly offensive to “the nations” or goyim, as the non-Jewish cultures are described throughout the Tanakh. Following Diodorus in the first century BCE, Strabo was of the impression that the Jews were descendants of Egyptians, naming Moses as a dissatisfied Egyptian priest. ...the ancient Greek geographer Strabo contended Moses to be an Egyptian priest who, disgusted with the bizarre representations of the Egyptian gods, left Egypt with a band of followers to establish his new cult in Palestine. Rather than serving simply as anti-Jewish propaganda, many of these contentious remarks undoubtedly are based not only on Manetho’s Hyksos but also on the Jews’ own scriptures, which depict them repeatedly engaging in destructive acts, especially the overthrowing of temples and ruination of high places of worship belonging to the non-Jewish tribes, including the polytheistic Israelites of the Northern Kingdom. Assmann believes these lepers displaced to Avaris, the capital of the Hyksos, developed an “enclave culture” attempting to prevent any assimilation that would destroy their distinct ethnicity. Tacitus points out that the Israelites under Moses developed a “novel form of worship, opposed to all that is practised by other men.” Because of their strict sectarianism and xenophobia towards nonbelievers, devout followers of Judaic law left a similar impression on several writers of antiquity, including Roman philosopher and statesman Lucius Annaeus Seneca. Pompeius Trogus recounts another story in which the lawgiver is made to be the son of the Hebrew patriarch Joseph. In this tale, Moses not only brings disease and epidemics to Egypt but also steals Egyptian sacred objects, while the Egyptians pursuing him are driven off by storms. In the fifth century BCE, the Greek historian Herodotus referred to the circumcised “Phoenicians and Syrians of Palestine,” the latter of whom since the Greek historian’s time have been surmised to be Jews, although he did not call them by that name. Contrary to popular notions and the impression given by the Bible itself, in many ways the Israelites were little different from their Canaanite forebears and neighbors. In addition to the religion of Yahweh, the Israelites — the northerners especially — were followers of El and other Canaanite deities, such as those of the Amorite Babylonians. A number of theories have been put forward to account for the origins of the Israelites, and despite differing details they agree on Israel’s Canaanite origins. The culture of the earliest Israelite settlements is Canaanite, their cult-objects are those of the Canaanite god El, the pottery remains in the local Canaanite tradition, and the alphabet used is early Canaanite, and almost the sole marker distinguishing the “Israelite” villages from Canaanite sites is an absence of pig bones, although whether even this is an ethnic marker or is due to other factors remains a matter of dispute. There is archeological evidence of the Canaanite Hyksos people moving into and out of northern Egypt, though the relation of their dates to the biblical account is debated by scholars. Differences between these new “Israelites” and their Canaanite predecessors included the tendency towards a single cult site for several surrounding tribes, rather than the individual “high places” the later followers of Yahweh repeatedly destroy throughout the Old Testament, revealing the religious fanaticism of the south-eastern Amoritish Yahwists/Judeans over the Canaanitish northern Israelites. Philo was a member of what has been claimed to be the wealthiest family in the Roman Empire, and thereby one of the most powerful. Philo’s brother, Alexander the Alabarch (10 BCE–? AD/ CE), was a builder of the Jerusalem temple, while the writer’s nephew, Tiberias Julius Alexander (10– 70 AD/ CE), served as a procurator of Judea and later a prefect of Egypt. Philo’s inflation of Moses’s character is unrelenting, obviously designed to make of the Israelite legislator a more moral and formidable figure than any other man since his time, so great that the one and only God of the cosmos - eschewing all other great men and women of old - spoke directly to this superior man and bestowed upon him the highest honors. Philo even goes so far as to claim that the patriarch is serving immortally in heaven with Yahweh, ruling the world and commanding the elements! This duad is based on Osiris and his brother Horus who leave Egypt to wander abroad. These duads, such as Wadjet and Nekhbet and Isis and Nephthys, the two thieves crucified on either side of Jesus, the torchbearers on either side of Mithras, etc, were also personifications of the Morning and Evening Stars, that is of the rising and setting of Venus. Pagan lore and history is replete with "exoduses." The Hebrew word for “chest" or "ark” is ארון 'arown,' which is not much different from the name 'Aaron'...head priest of the ark cult and Mosaic law. It is possible that, rather than representing a real person, this mythical character was specifically named for his ark-keeping duty. Aaron also could be taking the place of Horus (Horon). Aaron in Arabic is Harun, similar to the Semitic god-name Horon, identified with Horus. There are at least fifty two other lawgivers throughout the nations and traditions of the world, most of them dating from before the rise of the Biblical Israelites. Samuel N. Kramer included an entire chapter entitled The First ‘Moses, in which he remarks, “There are indications that there were lawgivers in Sumer long before Ur-Nammu was born.” He also states that the literature of the Sumerians “left its deep impress on Hebrews,” clarifying that the influence was indirect, through the Canaanites, Babylonians and others subsequent to the Sumerian culture. ...the writer of Exodus 2:1, speaking of Moses in the third person, identifies the future lawgiver’s father as an anonymous “man from the house of Levi.” In the same passage, the writer describes Moses’s mother only as “a woman,” very odd if the patriarch himself wrote these verses. From these implausible tales and others, we can assert that, like other biblical figures, the Hebrew lawgiver appears to be not a historical person but a mythical character found in a number of cultures, significantly as an archetypal solar hero or deity. The conclusion of Moses’s mythical nature has been reached many times over the centuries, and, despite the continued fervent bibliolatry or Bible-worship, modern scholars basically have thrown their arms in the air while trying to salvage some historicity. ...the Ten Commandments represent the Jewish version of the Babylonian Code of Hammurabi, the Egyptian Book of the Dead and other texts. Like Moses, other figures such as Sargon the Great and the Indian son of the sun god, Karna, were placed by their mothers in reed boats and set adrift in a river, to be discovered by others. Names of various biblical characters also have been discovered at Ebla, such as Abraham and David, long predating any “historical” individuals by those names and indicating their probable mythical nature instead. One major problem with the tradition of Moses composing the Pentateuch and Exodus story of Israel’s founding comes from the fact that several other Old Testament texts omit the patriarch largely or entirely, even when discussing the law or other foundational myths. Are we to believe this scene represents a historical occurrence? Yet, at John 1: 18, we read: “No one has ever seen God,” 28 and at 1 John 4: 12, it is asserted: “No man has ever seen God.” How can we reconcile this apparent contradiction with the verse in Exodus above, along with many others in which Moses, his older brother, Aaron, and others convene with the Lord in the tabernacle or tent for the divine presence? Do these passages truly represent history? There are many such instances in the Bible in which the gods of other cultures are depicted as real beings including where the word elohim is used. Some modern Christian apologists reckon Moses’s birth to 1526 BCE, based on Exodus 7:7, which makes Moses 80 years old and Aaron 83 when they asked pharaoh to let their people go, an advanced age to be leading hundreds of thousands of warriors in battle. Extrapolating from the number of 600,000 Israelite men alone, according to the Old Testament, a possible two to three million people are depicted as leaving Egypt, hunted by a fickle pharaoh’s army. These millions of refugees narrowly escape after Moses supernaturally parts the Red Sea, which crashes down upon the pursuing Egyptians, drowning them. The Pentateuch refers to the first five books of the Bible, also called the Torah or the Humash, the latter from the Hebrew word for “five,” comprising Genesis, Exodus, Leviticus, Numbers and Deuteronomy. We would add to this list the dearth of archaeological evidence for the Exodus of possibly three million people spread around a 130-mile-wide desert, in spite of numerous attempts over the centuries by archaeologists and the faithful alike to find such artifacts. ...we are asked to believe that possibly two or three million fleeing people tromped through the desert from Egypt to Israel, requiring four decades to make this relatively short journey of 130 miles or so, set on the path by Yahweh speaking through a burning bush and led by supernatural pillars of cloud and fire. Somehow this massive and spectacular event failed to be noticed by any Egyptian scribe or other ancient writers, who relate not one word of the affair, even though it could and should have been recorded by any number of cultures with whom these historians and geographers came into contact, such as the Egyptians, Canaanites, Babylonians, Phoenicians and so on. According to the Exodus story, millions of escaped slaves were traumatized and tortured in the desert for four decades by Yahweh playing all manner of scary tricks and mind games on them. If the tale were true, such behavior would be condemnable as the practice of a bizarre and anti-human cult with an evil god. If the “chosen people” were so “stiff-necked” that they needed 40 years of being terrorized and abused in the desert, while alternately astonished by mind-bending miracles, one wonders why the all-powerful God would choose them in the first place. Add to this tale a couple hundred thousand animals, as well as the mass of booty supposedly acquired from the Egyptians, and the tale become even more implausible. How was this huge amount of animals fed in the desert? What plant matter would they be able to eat, in the enormous quantities needed? Additionally, how could this huge mass of livestock have been pastured in Egypt to begin with? Wheless calculates that the amount of lambs needed to fulfill the Passover decree at Exodus 12: 21 would be something on the order of at least 240,000, slaughtered in one night. If those were only the lambs, how many other animals were there, including all the adult sheep, cattle, goats and horses, all spared miraculously during the plagues? Wheless also calculates that the pasture lands needed for such a mass would be equivalent to the size of the American state of Rhode Island. At Exodus 3:22 and 12:35, the Israelites are to flee through the desert with the enormous wealth of Egypt, taking a mass of silver and gold. Why carry all that weight to live in the desert, where it has no value? Could not Yahweh instantly transport the gold and silver into a safer place in Israel? Was he not capable of hiding it and giving it to the Israelites later? Why would they need this wealth in the first place, since Yahweh is purported to be omnipotent and able to take care of all their needs? During the desert sojourn, two or three million people and hundreds of thousands of animals would require a huge amount of water. One must ask why the good Lord initially gives these thirsty travelers “bitter water,” as is the name of the well, Marah, where the Israelites end up at Exodus 15: 25? Here apologists try to excuse Yahweh’s abuse of his chosen by claiming God is “testing” them. But they have already endured enough, so why let them suffer in this manner? Moreover, such an amount of pillaged booty would leave the nation of Egypt bankrupt and destitute, and the Israelites extremely wealthy, a situation not borne out by the historical and archaeological record. Archaeologists have found no evidence of such wealth among the hill settlers who became the Israelites. Moses’s solution to this transgression of his fellow sectarians is bloodletting, so he orders the Levitical priestly tribe to slaughter all the men, women and children. (Exod 32:27.) Apparently, this godly gang could only manage to massacre 3,000 people before losing steam, but Moses was not done with the genocidal mania, as, when finally he and his merry band arrived in Canaan, they massacred everyone in their path who would not kowtow or serve them somehow. The pericope at Exodus 32 about the Golden Calf, worshiped when Moses goes up the mountain for too long, is peculiar in that it is the lawgiver’s own brother, Aaron, who institutes this idolatry while Moses is away. Again, the prophet orders the slaughter of all the Israelites but only manages to get through a few thousand. However, the instigator of this illicit worship, Aaron, remains unpunished and, as noted, subsequently receives the only priestly ordination, along with his sons, who are slaughtered by Yahweh later. Curiously, Philo claims Moses chose Aaron as high priest because of his “great virtue.” Why would Yahweh make the initiator of the most infamous episode of idol worship his sole priest afterwards? One also wonders why, if the Israelites took with them a vast treasure from Egypt, Aaron would need to use the Hebrews’ rings and earrings for the calf (Exod 32:2), rather than melting down the Egyptian gold? This element indicates the writer of this passage was not conscious of the motif of Egyptian booty, possibly because it had not yet been woven into the fictional story, which evidently was embellished over a period of centuries. ...Exodus 32:27 records Moses forcing his men to slaughter their own brothers, companions and neighbors because they were revering the Golden Calf, suggesting that murdering one’s best friends and family members is morally superior to idol worship. At Leviticus 26:29, Yahweh threatens his chosen people with the cannibalism of their own children if they do not obey him, a threat repeated elsewhere biblically. In another bloodthirsty act, Deuteronomy 2:34, 3:3 and 3:6 depict the massacre of all the people of Heshbon and Bashan, including innocent men, women and children. Although Genesis 14:13 says that certain Amorites were confederates of Abraham, Deuteronomy 20:17 lays out once again the planned genocide of Canaanitish peoples, including the Amorites. 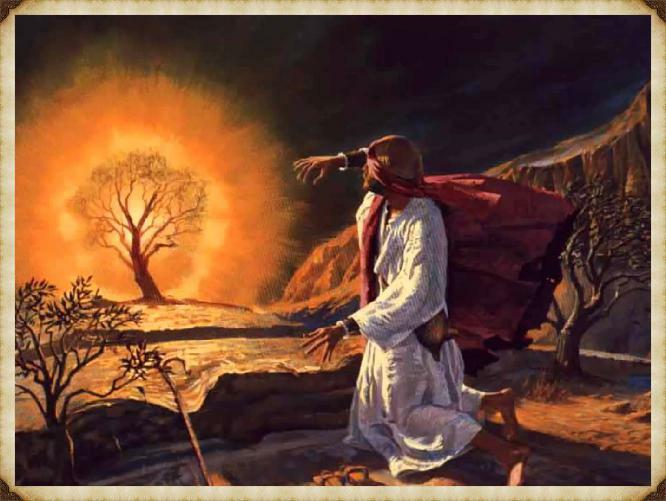 D.M., Murdock; Acharya, S. Did Moses Exist? : The Myth of the Israelite Lawgiver (Kindle Locations 3603-3604). Stellar House Publishing. Kindle Edition. If the holy mountain location were so concretely established, there would not be so many candidates. This fact of multiple locations lends credence to the contention that the Exodus is fictional. The plaguing of humanity with some sort of disease or affliction is common throughout history, and such catastrophes frequently were attributed to divine intervention of one sort or another. The mythical passage across a body of water can be found in the Americas as well, as in the Maya story recorded in the Popol Vuh regarding the tribes that “crossed the sea, the waters having parted when they passed,” reflecting the ancestral exodus from the homeland of Tulan. As concerns non-biblical usage, the word diatheke appears in the works of numerous pagan writers in antiquity, such as Appian, Aristophanes, Demosthenes, Diodorus, Isocrates, Josephus, Lucian, Plato and Plutarch. Aristophanes employs the term to convey “to arrange an arrangement,” in the name of Apollo. The basic sentiment of various biblical commandments can be found in the Egyptian Book of the Dead, particularly the 125th chapter or spell, which existed by at least the 19th century BCE. The Book of the Dead likewise depicts the “Hall of the Double Law or Truth where the divine lawgiver Osiris presided as Judge of the Dead.” It is before Osiris in this hall that the deceased must appear to state the 42 affirmations and denials or “negative confessions” about behaviors during the life of the deceased. Pausanias also states that “there is a spring below the city near the sea, the water of which they say gushed forth for Dionysus when he struck he ground with a thyrsus.” He continues: “For this reason they call the spring Dionysias.” Here we see several germane elements included in the Moses myth. Oxford scholar Robert Graves sees the god of intoxicated revelry in a cave painting dating to possibly 10,000 or more years ago, obviously not labeled by the Greek moniker “Dionysus” but possessing related archaic attributes. ...we see that Dionysus dies and is reborn at the winter solstice or “Christmas,” the traditional time of Jesus’s birth...It is further noteworthy that, whereas Jesus is the Lamb, Dionysus is the Kid or baby goat. Euripides...further calls Dionysus the “bull-horned god,” who is “crowned with a crown of snakes” 922 or dragons, making of him an Ophite deity/serpent god as well. So close were these correspondences in the Dionysus myth that certain devout believers wrote long treatises presenting the parallels’ purported biblical originals. One such individual was British theologian and vicar Rev. Theophilus Gale (1628–1678), who cited biblical chapter and verse whence the Greek poets allegedly had plagiarized their Bacchic tales. In his book The Court of the Gentiles, in the chapter The Theogonie of Bacchus from Sacred, or Hebrew, Names and Traditions, Gale lists 17 parallels between the Moses and Dionysus stories and tries to trace them to the Bible, providing various scriptures as their basis. ...the French priest raises up the two mothers, Nysa, the flight across the Red Sea, the presence of women in the army, the horns, the smiting of a rock for water, the serpent, the “dog,” the “milk and honey,” the role of lawgiver, the “double law” and the miracle-making. Thomassin cites many of the ancient sources for these comparisons, including Clement, Diodorus, Euripides, Nonnus, Orpheus, Plutarch, Sophocles and Strabo. For many centuries since antiquity, scholars, theologians and others have noted numerous parallels between Dionysus and Moses, most attempting to establish biblical priority but some declaring that the former post-dated and was derived from the latter. The Greek god Dionysus’s worship extends back at least 3,200 years, but the reverence for a wine deity in general is much older. Murdoch specifies forty six similarities between accounts of Moses and Dionysus (Bacchus). Bacchus was originally a deity sacred to the Hyperborians or Arya from the North-West. Another parallel between the Moses and Dionysus myths occurs in Exodus 15, when Miriam and all the Israelite women dance in a celebratory frenzy praising Yahweh, much like the Bacchae or Dionysian priestesses and Maenads in their ecstatic rapture. In his book The Diegesis, Taylor likewise recited various Moses-Dionysus parallels, such as already provided in the present work. Since Taylor’s time, many others have written about these correspondences, not a few from the perspective that Moses is a mythical copy of Dionysus and not the other way around. In consideration of Dionysus’s appearance in the historical record by name by the 13th century BCE, whereas Moses cannot be found in the literature until many centuries later, it would seem that the latter is a remake of the former. ...Iakkhos has been equated with “Iao” and the Jewish Tetragrammaton YHWH. Hence, again, it would not be surprising if Jews were involved in Bacchus worship. In his Moralia, in a section discussing what god the Jews worshiped, Plutarch relates that Bacchus was “one of the gods worshiped by the Hebrews,” reflecting the Dionysus-Yahweh connection. the “twice-born” epithet as having to do with grapevines, which are first born as they sprout from the ground and born again as they put forth leaves and ripe fruit. Many of these similarities existed hundreds to thousands of years earlier, before Hebrew emerged as a separate language and the Bible was composed.